All NPC Scabbards 1.22 including DLC Please use this for the best looking outcome on Vernon Roches sword. Nitpicker's Patch - various visual fixes Use any of the Nitpickers versions. Post section has edited version for Besserwisser by yours truly. Thanks for traderain for Wolven Kit and Sarcen by extension! Rfuzzo for providing me the necessary tools and to sustain my person. Feregorn for teaching me how to blender. ScoutBr0 for a mesh injection technique used to fix Winter White Orchard. ScorceressJ for game testing my mod and to give nice feedback and a bucket load of bugs. 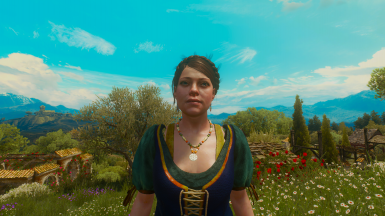 Fixed White Orchard Sun direction. Now east to west, like the rest of the maps. Reworked Dialogue scene with Irina Vegelbud. Appearing and disappearing well. 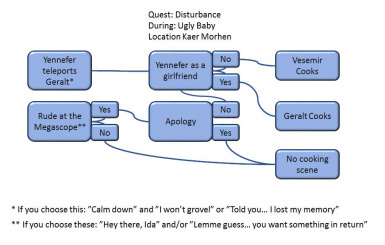 - Fixed Vivienne moving to Skellige. Previously she got stuck at Novingrad. 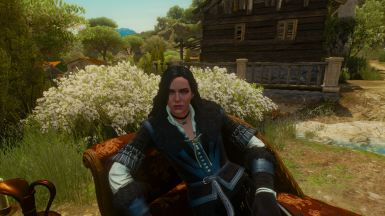 - Added cooking for Yennefer Scene. Read additional details how to initiate this. - Fixed folder structure for some eye meshes. - Fully reworked the Vespula and Irinas torso (same mesh) to work on both properly. - Fixed the Boat masts popping before the hull. And HMS Oxenfurt-Tretogor should be fixed as well. - Fixed Ciri sleeping at Corvo Bianco guest bedroom. 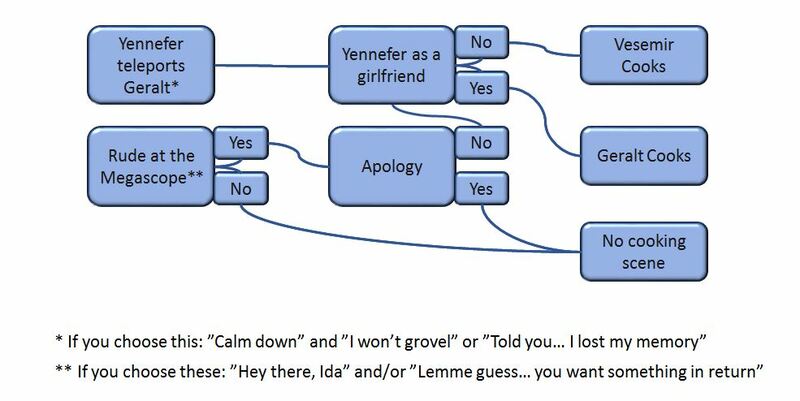 Borrowed from German Besserwisser, from besser (“better”) + Wisser (“knower”). The latter is a neologism from wissen (“to know”, verb). Noun: Besserwisser (plural Besserwissers)A know-it-all, wiseguy, wiseacre, smart aleck. This patch is a collection of fixes. And it's done in the same spirit as Nitpicker's Patch. There's also a couple of issues with said patch, and this is supposed to correct some that are present in there. Nitpicker's Patch is highly recommended (but not required!) as it fixes so much issues of the main game. One can use any version available from the Nitpicker page. Please note that this mod is no longer supports NMM installation. The Witcher 3 Mod Manager﻿ will install this correctly (thanks korodik) and Czembro informed me that Vortex intallation does work also. Use Script Merger if neccessary. There are bucket loads of non-mergeable conflicts, but ignore these with your mods. BlackSpider fix, which makes the Black Spider to be registered as insectoids, like in bestiary. These are set as spectres in Vanilla game. Ciri sleeping at Corvo Bianco bed. And the bed itself also fixed. Added a missing stove to Winter White Orchard. Thanks ScoutBr0﻿ for your help! 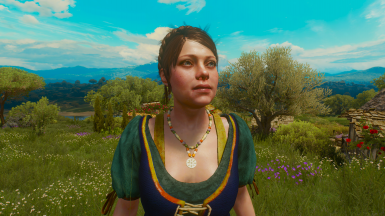 Fixed Vivienne moving to Skellige after finishing Blood and Wine. Must have finished "Ugly Baby". 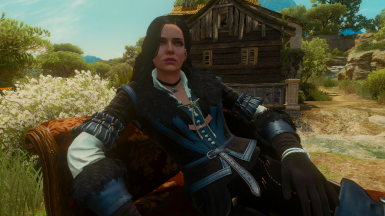 Vivienne will move to the same room ﻿Yennefer stayed in Skellige. Fixed Vernon Roches floating sword, now closer to hip. The Sword is tweaked for All NPC Scabbards 1.22 including DLC﻿, So use that for very best outcome. Fixed Iris' Greatest Fear﻿ - Ethereals to be registered as spectres, like in bestiary. Now one can use spectre oil to gain a little upper hand. These were previously set as human. Fixed Mulbrydale floating poster. It's now on the dead treetrunk at the south end of the town. Fixed White Orchard Sun direction now rises from the east and sets to the west, like the rest of the maps. As a rule of thumb. This fix is intended to be a low-priority patch. So other mods should override Besserwisser. For Brutal Blood ﻿there's a compatibility patch at the Spider Fix﻿ mod. Next Generation LOD BETA﻿ and one should give priority to that mod, just rename the modLOD folder to load before the Bessewisser and you'll be set. 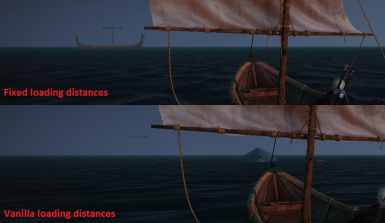 BoatFix did not edit any LODs (Level of Details) for the boats, but only normalizes the loading distances of the different parts of the boats. I will collect suggestions and findings and maybe even fix issues that I can.